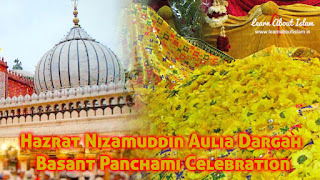 The dargah of Hazrat Nizamuddin Auliya Rahamatullah Allai in Delhi observes the festival of Basant Panchami in its own unique way. The story goes that once the saint was grieving the demise of his nephew. Unable to see his spiritual master in grief, Amir Khusro started wondering how to cheer up the Auliya when he noticed that a lot of people were wearing yellow in the village of Ghiyaspur (older name of Nizamuddin). Khusro asked people about it and was told about the festival of Basant Panchami. Khusro immediately dressed as a woman in yellow clothes and went to dance and sing in front of Hazrat Nizamuddin. 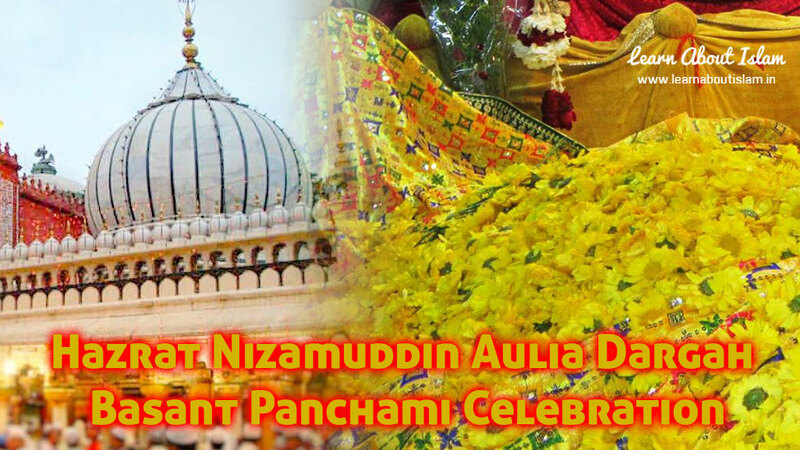 This gesture of Amir Khusro brought a smile on the face of the saint and since then Basant Panchami has been celebrated in his khanqah and dargah.